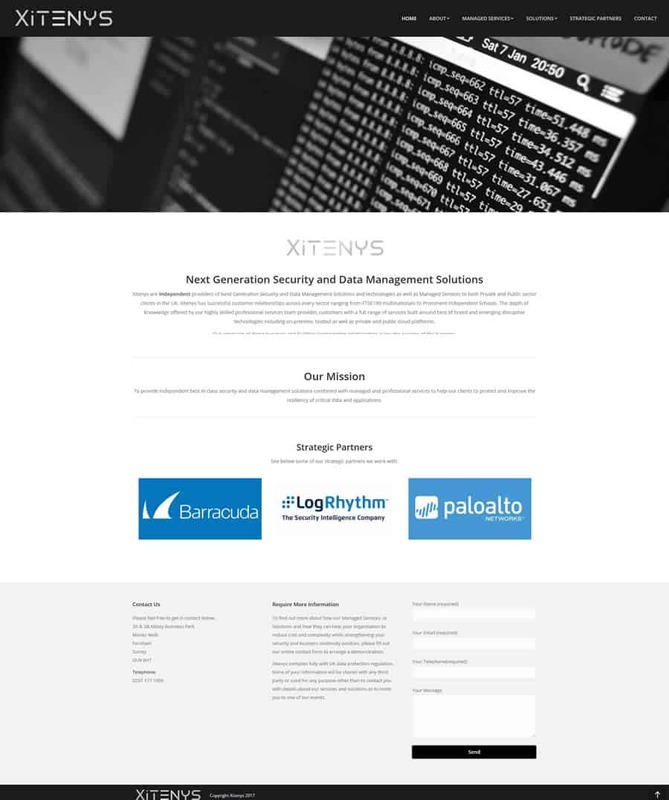 Xitenys are Independent providers of Next Generation Security and Data Management Solutions and technologies as well as Managed Services to both Private and Public sector clients in the UK. Xitenys has successful customer relationships across every sector ranging from FTSE100 multinationals to Prominent Independent Schools. The depth of knowledge offered by our highly skilled professional services team provides customers with a full range of services built around best of breed and emerging disruptive technologies including on-premise, hosted as well as private and public cloud platforms.